The Corvidae is a large family with familiar crows and jays plus magpies, treepies, nutcrackers and choughs. Although derived from a single ancestor in ancient Australasia, their adaptive radiation has expanded to almost every habitat on earth (Sibley & Ahlquist 1990, dos Anjos 2009). They are present at my backyard feeder in California (California Scrub-Jay, left) to colorful corvids in tropical jungles (Common Green-Magpie in Thailand, above), while black-robed ravens and crows scavenge road-kill in the deserts of Australia (Little Crow, below). Corvids show quick intelligence and curiosity. During the 19th century these were considered the “most advanced” birds, based upon the belief that Darwinian evolution brings “progress.” The “most intelligent” birds were listed last, reflecting their position “atop the pyramid.” Modern biologists reject the concept of hierarchical “progress” in evolution; recent taxonomies place corvids somewhere in the middle of the passerines. Sibley & Ahlquist (1990) showed that corvids first arose in Australasia and spread from there around the globe. Early branches of the ancestral stock evolved into many of the groups of Australasia, including currawongs, birds-of-paradise, whipbirds, quail-thrushes, whistlers, monarchs and many others. Both the shrikes and the vireos are offshoots from this root, and so are African families like bush-shrikes, helmet-shrikes, and vangas. The close relationship of these groups to the corvids was, perhaps, the most important finding of the molecular work by Sibley and colleagues. It has served to reorganize the taxonomic arrangement of the world's passerine families. From a global perspective perhaps the crows and ravens are the best known corvids. There seems to be a crow or a raven just about everywhere there is land. These range from the dark-eyed American Crow in my California yard, a very widespread species in North America (above left, a youngster) to the pale-eyed Forest Raven of Tasmania and southern Australia (above right). These species have 'normal' bills, but White-necked Raven of southern and east Africa (right) has a massive bill. These huge ravens, including Common Raven Corvus corax, are the largest "songbirds" on earth. 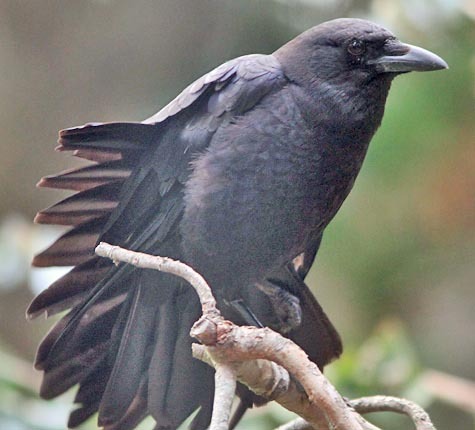 The local American Crows that live in my backyard raise young each year with the help of the prior year's brood, a character shared with crows on Cape Cod, MA, and the Northwestern Crow C. caurinus of Puget Sound (it may be just a race of American Crow). In contrast, American Crows in the interior break into nesting pairs and raise young without helpers. What influences these behaviors remains a mystery. There is still much to be learned about these common and ubiquitous birds. 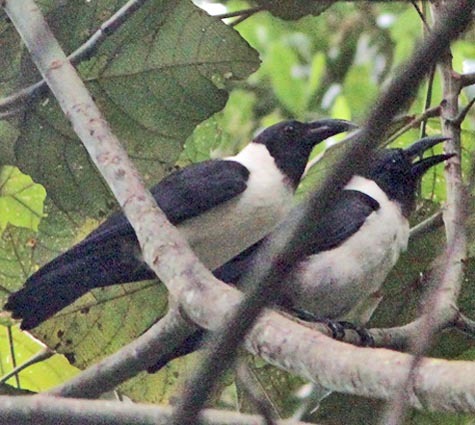 Several species of crow have varying amounts of white, from the white nape of White-necked Raven to the more extensive white collar of Collared Crow in China (below left) to the most white underparts of the little-known Piping Crow, an endemic to Sulawesi (below right). Vocalizations also are variable, from deep-pitched croaks in Common Raven to upslurred piping whistles in Piping Crow. Many crows and ravens are common and widespread but some species are limited to single islands and some can be critically endangered. The little-known Long-billed Crow, shown in flight over the forests of Halmahera (above), is restricted to the islands of the northern Moluccas and appears to live in low densities in the most heavily forested parts of these islands. It is a canopy bird with almost nothing known of its diet or breeding biology (dos Anjos 2009). The Banggai Crow Corvus unicolor, restricted to one small island east of Sulawesi, and the Mariana Crow C. kubaryi, endemic to Guam and Rota, are considered "critically endangered" [I was very fortunate to see a Marianas Crow on Guam almost 40 years ago]. The Hawaiian Crow C. hawaiiensis is now extinct in the wild. A small captive flock remains but the species was last present in the wild in 2002. Other islands with endemic crows include Flores, New Caledonia, the Solomon Islands, Jamaica, Cuba, and Hispaniola. Several genera of corvids bear the name "magpie." The colorful tropical Asian genus Cissa, composed of four species and exemplified by Common Green-Magpie (shown at top of this page), is one them. 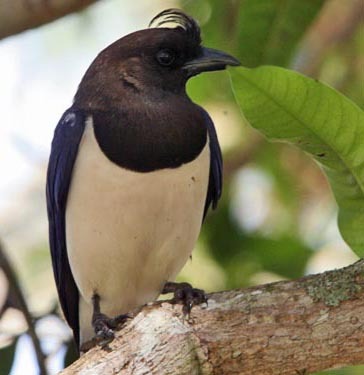 Genus Urocissa is another, with five species, and the best known is Red-billed Blue Magpie (below), found from China to southeast Asia, and in the Himalayan foothills of India and Nepal. The classic black-and-white magpies are in genus Pica, with 3 species. These are temperate, open-country birds of the Holarctic. Eurasian Magpie (above) is the bird of Shakespeare and literature. The striking Yellow-billed Magpie (below) is a California endemic, restricted to the state's Central Valley and valleys of the coastal ranges. It has suffered from West Nile virus and local extirpations with the spread of suburbia; see Roberson & Tenney (1992). There are ten treepies in 3 genera, and largest of which are the 7 in genus Dendrocitta of south Asia. A fine example is Rufous Treepie (right), a widespread bird of India through southeast Asia. Like the magpies in Pica, many treepies are birds of more open scrub or woodlands. High elevation corvids include 3 species of nutcracker in genus Nucifraga. Clark's Nutcracker (left, this one carrying a pine cone) lives in the Hudsonian and Alpine life zones of mountains in western North America. Eurasian Nutcracker (below left) inhabits Palearctic coniferous forests from Europe to Siberia. Both nutcrackers are erratic vagrants far from their resident ranges. This Eurasian Nutcracker (below left) was a fall vagrant to the island of Texel in the Netherlands. Because it appeared during a huge birding convention on the Isle of Texel, it was seen by hundreds of twitchers. It was half-surrounded by dozens of photographers when I snapped this shot (perhaps giving it this half-dazed, half-surprised visage....). Two species of Chough (Pyrrhocorax), one red-billed and one yellow-billed, are primarily montane alpine species, but there is a population of coastal cliff-nested Red-billed Chough P. pyrrhocorax in western Europe. Odd and remote corvids include four species of ground-jay (genus Podoces) in the barren steppes of central Asia to Mongolia, and the Taklimakan Desert. 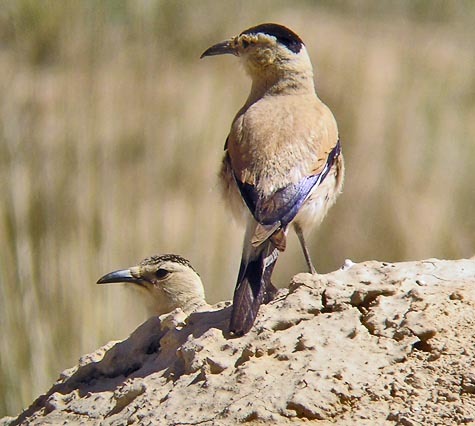 This pair of Mongolian Ground-Jay (above right) were high on the Tibetan Plateau of Qinghai Province, China. 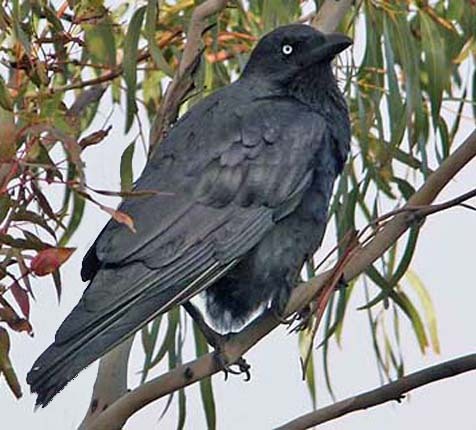 Other strange corvids include Stresemann's Bushcrow Zavattariornis stresemanni of the Borana region of southern Ethiopia, the exceptionally long-tailed Piapiac Prilstomus afer of the sub-Saharan savanna, and the bare-faced Rook Corvus frugilegus of Eurasia. Eurasian Jackdaw (right) is the Western Palearctic representative of the two jackdaws in Eurasia. 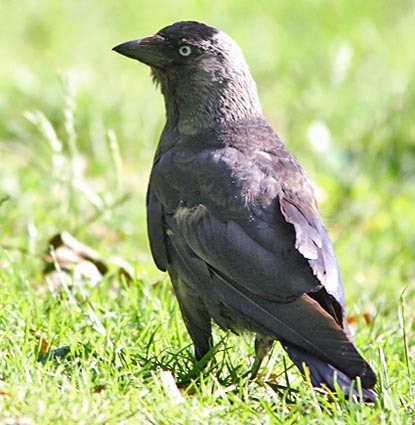 Jackdaws are small, short-billed, sociable crows that use a wide variety of habitats, including parks and gardens. Eurasian Jackdaw is gray-naped and pale-eyed; the more migratory Daurian Jackdaw Corvus dauuricus of eastern Eurasia is dark-eyed and has a black-and-white plumage that recalls that of Piping Crow (see Piping Crow near the top of this page). Two other oddities are currently placed with corvids, but one or both are probably better placed in another family — or even their own family? Black Magpie Platysmurus leucopterus of the Malay Peninsula, Sumatra, and Borneo is either a primitive black corvid or something else. This brings us finally to 42 species of jays. These are most abundant in the New World. Where I live in coastal central California, California Scrub-Jay (bathing, above, or feeding young, left, or just showing fresh plumage, below left), is a dominant species. Yet the Island Scrub-Jay (middle below) is an endemic with a tiny range, confined to Santa Cruz Island among the Channel Islands off southern California. It differed from the coastal mainland jays in behavior and several physical traits (note the big bill compared with the Western Scrub-Jay; see more in Atwood & Collins 1997), just as the Florida Scrub-Jay (below right) was quite different behaviorally in Florida (Pitelka 1951, Woolfenden & Fitzpatrick 1984). For these reasons, plus biochemical and fossil evidence, the A.O.U. in 1998 split them into three separate species. 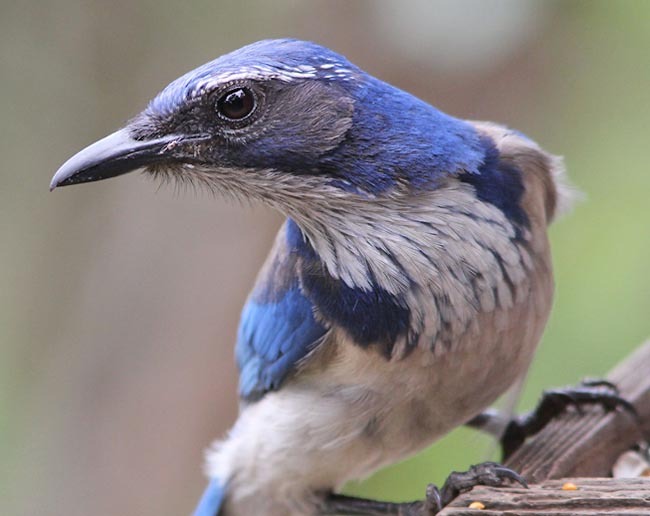 There is evidence that interior scrub-jays are also distinctive (Pitelka 1945) and several years later, the AOU split those as well, as Woodhouse's Scrub-Jay A. woodhouseii. The two other widespread and common North American jays, both of them bearing crests, are Steller's Jay of the West (above left), and Blue Jay in the East (above right). 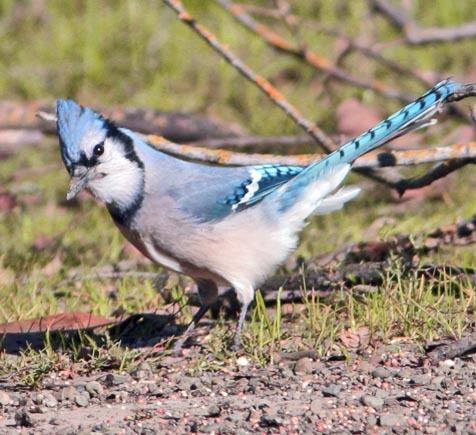 Even non-birders have heard of "blue jays" so that is the term most often used for both scrub-jays and Steller's Jays in western North America. A "real" Blue Jay in California is a super vagrant (and the one shown above right was, indeed, a major rarity for this State!). A northern species — Canada Jay (right) — resides in coniferous forests across northern North America, and ranges only to the most northern parts of California. It can be elusive to find but is actually quite tame around campgrounds, and one of its local names is "Camp Robber." In 2018, A.O.U. re-adopted the original name Canada Jay (for decades they had been known as "Gray Jay"). Jays in the Neotropics include some strange and beautiful species. 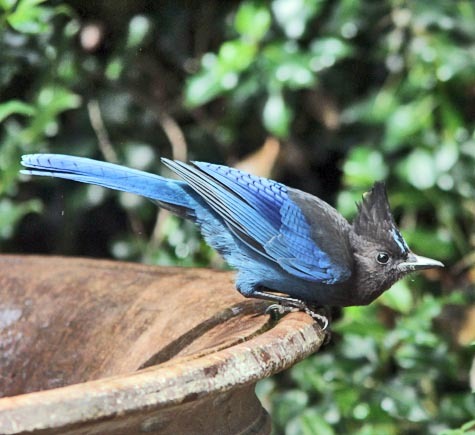 One colorful but very secretive example is Black-throated Jay of montane forests from southern Mexico to Honduras. Perhaps no Central American corvid is more highly sought than Tufted Jay (above right) with its outrageous frontal crest. It is endemic to cloud-forested barrancas in northwestern Mexico, moving in loose bands that are sometimes hard to find, but curious and approachable when located. It was only discovered in 1934; many longtime Mexican observers still use the old name "Dickey Jay" which has a certain panache. In South America there is another set of exotic jays, including Curl-crested Jay (below left) of wooded patches in open grasslands, and yet another deep blue to violet-colored species, the rather secretive Purplish Jay of the Pantanal. Photos: The photo of Common Green-Magpie Cissa chinensis was taken from a hide near Kaeng Krachen NP, Thailand, on 20 Dec 2012. The California Scrub-Jay Aphelocoma californica was in my backyard in Pacific Grove, California, on 24 Apr 2011; additional shots of this species are farther down the page. The Little Crow Corvus bennetti was feeding on a dead wallaroo at Simpsons Gap in West MacDonnell NP, Australia on 16 Aug 2008. The American Crow Corvus brachyrhynchos was a youngster in my Pacific Grove backyard on 24 June 2011. The Forest Raven Corvus tasmanicus was at Peter Murrell Reserve, Tasmania, on 21 Aug 2008. The White-necked Raven Corvus albicollis was at Nieuwoudtville Wildflower Reserve, South Africa, on 6 Jul 2005. 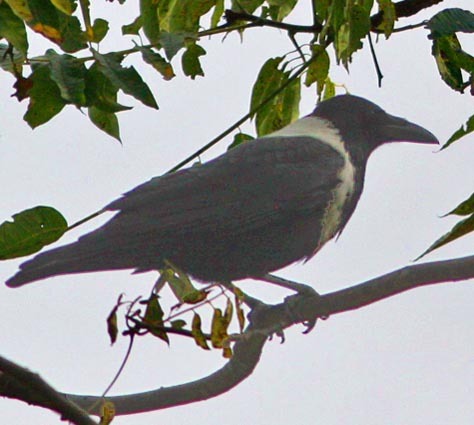 The Collared Crow Corvus torquatus was near Foping Reserve, China, on 10 Nov 2010. The family of Piping Crow Corvus typicus was in Lore Lindu NP, Sulawesi, on 27 Sep 2011. The Long-billed Crow Corvus validus was near Foli, Halmahera, Indonesia, on 10 Oct 2011. The Red-billed Blue Magpie Urocissa erythrorhyncha was was at a temple near Mae Wong NP, Thailand, on 29 Dec 2012. The Eurasian Magpie Pica pica was in Vondelpark, Amsterdam, the Netherlands, on 6 July 2013. 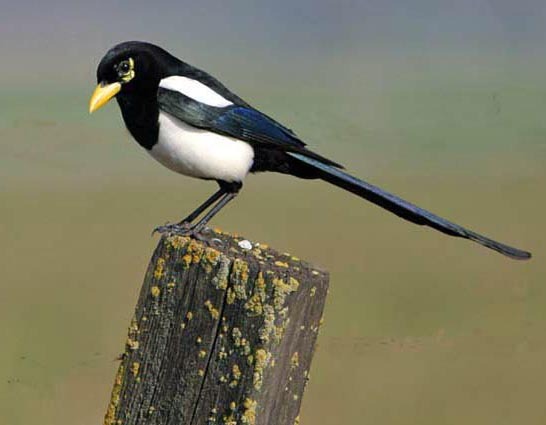 The Yellow-billed Magpie Pica nuttalli was in California's Central Valley on 5 Feb 2005. 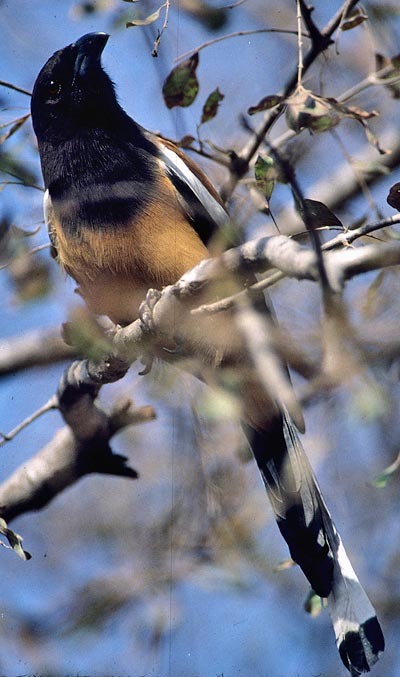 The Rufous Treepie Dendrocitta vagabunda was at Ranthambhore NP, India, on 21 Mar 2001. The Clark's Nutcracker Nucifraga columbina was near Yosemite NP, California, on 12 Aug 2009. 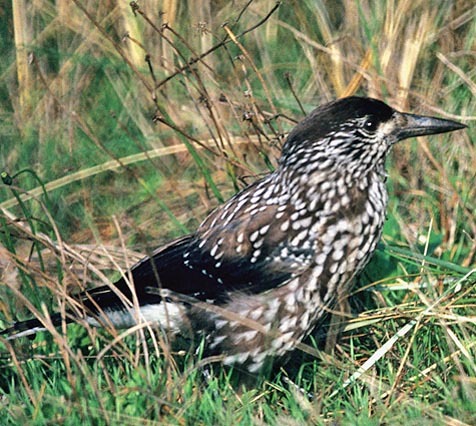 The vagrant Eurasian Nutcracker Nucifraga caryocatactes was at Texel, the Netherlands, on 15 Oct 1991. 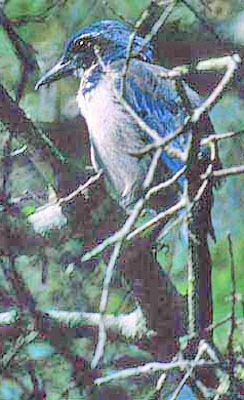 The Mongolian Ground-Jay Podoces hendersoni was in the Caka Valley, Tibetan Plateau, China, on 20 June 2004. The Eurasian Jackdaw Corvus monedula was in Vondelpark, Amsterdam, the Netherlands, on 6 July 2013.The bathing California Scrub-Jay Aphelocoma californica was at Laguna Grande Park, Seaside, California, on 20 Nov 2007; the adult feeding young was in my Pacific Grove backyard on 8 July 2006. The Island Scrub-Jay A. insularis was on Santa Cruz I., California, on 17 Aug 1992. 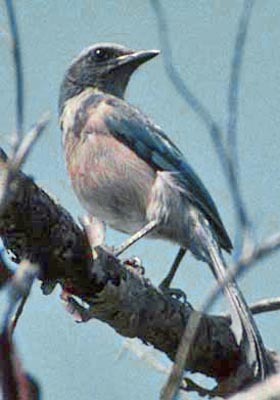 The Florida Scrub-Jay A. coerulescens was at Jonathan Dickinson State Park, Florida, on 21 Apr 2000. The Steller's Jay Cyanocitta stelleri was in my Pacific Grove backyard on 22 Sep 2013. The vagrant Blue Jay Cyanocitta cristata was at Rockville, Solano Co., California, on 15 Jan 2006. 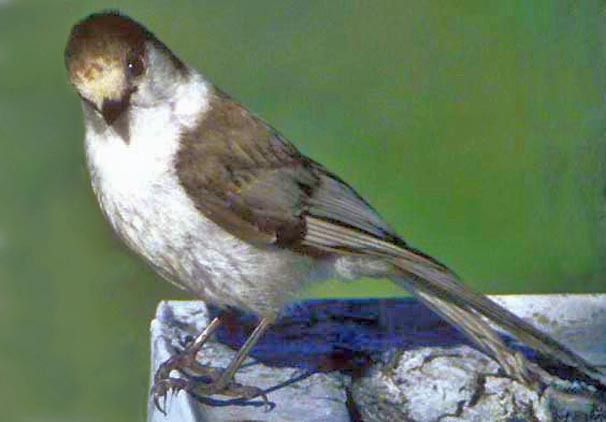 The Canada Jay Perisoreus canadensis was at Little River, Mendocino Co., California, on 1 July 2001. The Black-throated Jay Cyanolyca pumilo was in the cloud forest at El Triunfo, Chiapas, Mexico, on 23 Mar 2002. 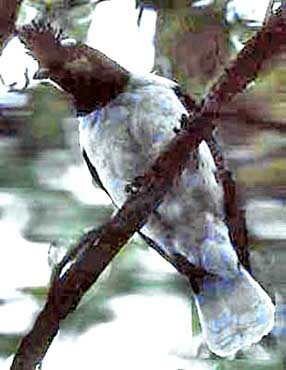 The Tufted Jay Cyanocorax dickeyi was along the Durango Hwy, Sinaloa, Mexico, on 22 Feb 1987. The Curl-crested Jay Cyanocorax cristatellus was at Emas NP, Brazil, on 28 July 2010. 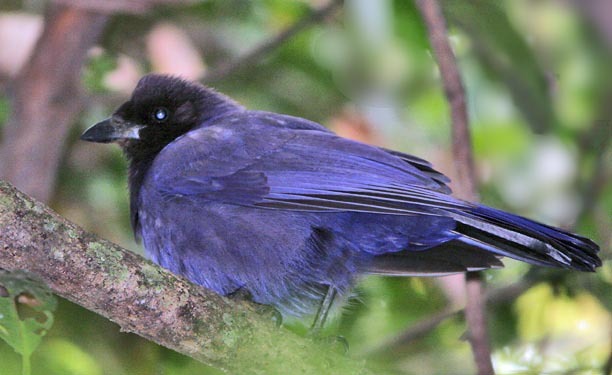 The Purplish Jay Cyanocorax cyanomelas was in the Brazilian Pantanal 19 July 2010. All photos © Don Roberson; all rights reserved. Goodwin, D. 1976. Crows of the World. British Museum & Cornell Univ. Press, Ithaca, N.Y. This was considered a monumental effort at the time it came out, and was one of the first bird family books I acquired. Unlike the recent plethora of cookie-cutter family books, this one was just not a set of species accounts put together within one cover. The first third of the book is detailed text about the Family: a summary of what was then known about corvid biology, ecology, and behavior. In this sense it is like the recent family summaries in the Handbook of the Birds of the World. The species accounts were as updated as was then possible, but for obscure species like Flores Crow or Banggai Crow the subheads "Feeding," "Nesting, "Voice," and "Social Behavior" all read "No information." In contrast, a common European species like Rook went on for 8 pages. Every species had a black-and-white sketch (some showed behavior also) but the few color plates showed some just an example or two of each genera, and all were done in an unattractive "cut-out" side-view field-guide style. This book does not measure up to today's information, but was not bad for its time and the information seemed accurate. 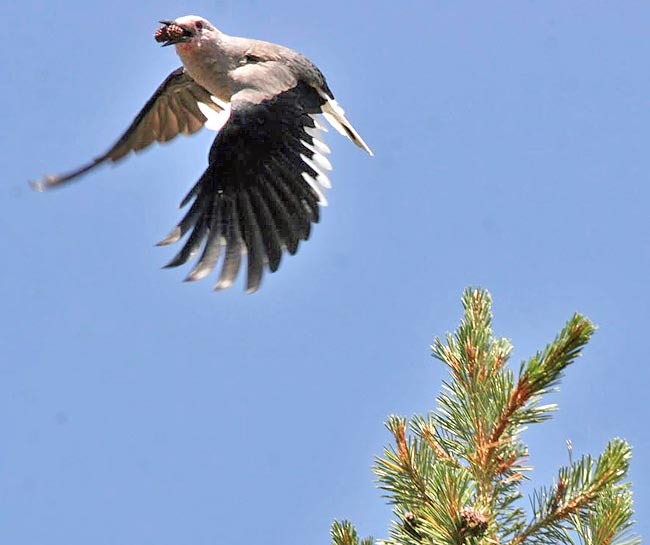 It was conservative in taxonomy and covered 116 species (but did split today's Gray Jay into two species). It is now a "classic" and is cited again and again in the literature, but is outdated except for its good summary of biology for the more common species. Madge, S., and H. Burn. 1994. Crows and Jays: A Guide to the Crows, Jays and Magpies of the World. Houghton Mifflin, Boston, MA. In stark contrast to Goodwin (1976), this modern book has almost no introductory information about the Family Corvidae. Instead it has the now familiar set of color plates for every species opposite short details and a range map, and then the bulk of the book is species accounts. These are telegraphic in nature and pack a lot of information, but Rook takes up only two pages while both Flores and Banggai crows are a full half-page each. We learn that the Banggai Crow is known from only two old specimens and that it may be extinct; recent crows sightings from this little island off Sulawesi may be expanding Slender-billed Crows. For the endangered Flores Crow the voice is now known, but habits and breeding details still are unknown. Thus this book does nicely update Goodwin's information. The artwork shows more natural birds than those in Goodwin, and is quite attractive. The authors are liberal in taxonomy and list 120 species, including splits in Short-tailed Magpie, Eurasian Nutcracker, and Large-billed Crow (among others), decisions that still are not widely accepted [yet they did not anticipate the three-way split of Scrub Jay]. They include a nice i.d. chart of Australian crows/ravens, but then favor the split of "C. boreus" proposed by Rowley (1967), the "Relict Raven" of New South Wales, a position not generally followed by Australian ornithologists. They further confuse the matter by using the English name "New England Raven." Only an Aussie (Rowley) and two Brits (Madge & Burn) could think this was an appropriate English name from a worldwide perspective; never mind the millions who think they live in "New England" in the northeastern United States! Yet it was when I starting reviewing species I knew that I became most disappointed. They did discuss recent range expansion in Blue Jay and the few vagrants to California, but their half-page on Yellow-billed Magpie was very weak. Their range descriptions are quite wrong, claiming that coastal birds extend from Ventura to San Francisco (the species gets no where near San Francisco as a wild bird, although occasional escapees have been known). They follow this mistake by claiming "occasional birds have wandered up the Pacific coast as far as Oregon" which is a major hoot. Yellow-billed Magpies never reach the coast; are entirely absent from northwestern California; and the only vagrants to Oregon have been well inland north of the Central Valley. Clearly the authors know nothing about California. Further, the references they cite are (a) a major work on Black-billed Magpie that added a bit about Yellow-billed as an afterthought (Birkhead 1991), and (b) Goodwin's 1976 book! No mention at all of the major ecological work on Yellow-billed Magpie (Verbeek 1973) or any California works, the only place where the bird exists! The authors emphasize the species' adaptability in the Central Valley but entirely overlooked its vulnerability in oak savanna habitat to the west, and say nothing of local extirpations. Although the book is attractive and leafing through it is fun, I don't consider it nearly as authoritative for its time as Goodwin (1976) was two decades before. Atwood, J. L., and C. T. Collins. 1997. The Island Scrub-Jay: origins, behavior, and ecology. Birding 29: 476-485. Birkhead, T. 1991. The Magpies: the Ecology and Behavior of Black-billed and Yellow-billed Magpies. Poyser, London. dos Anjos, L. 2009. Family Corvidae (Corvids), pp. 494 –641 in Handbook of the Birds of the World (del Hoyo, J., A. Elliott & D.A. Christie, eds). Vol. 14. Lynx Edicions, Barcelona, Spain. Haemig, P. D. 1989. 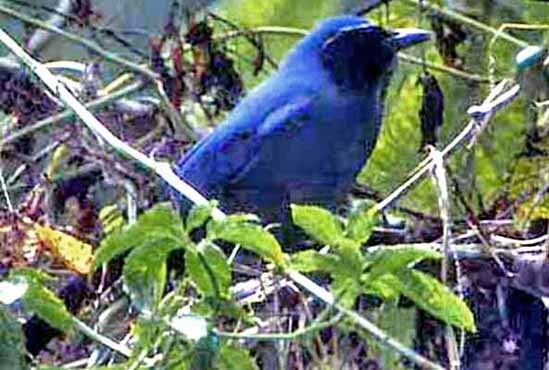 A comparative experimental study of exploratory behavior in Santa Cruz Island and mainland California Scrub Jays Aphelocoma coerulescens. Bird Behav. 8: 32-42. Pitelka, F. A. 1945. 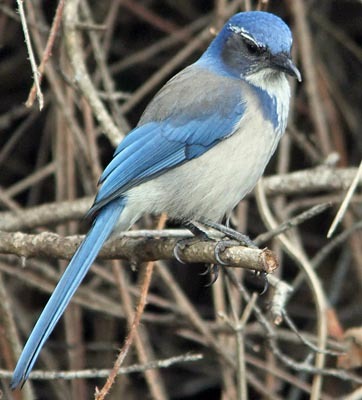 Differentiation of the Scrub Jay, Aphelocoma coerulescens, in the Great Basin and Arizona. Condor 47: 23-26. Pitelka, F. A. 1951. Speciation and ecological distribution in American jays of the genus Aphelocoma. Univ. Calif. Publ. Zool. 50: 195-464. Roberson, D., and C. Tenney, eds. 1993. Atlas of the Breeding Birds of Monterey County, California. Monterey Pen. Audubon Soc., Carmel CA. Rowley, I. 1967. 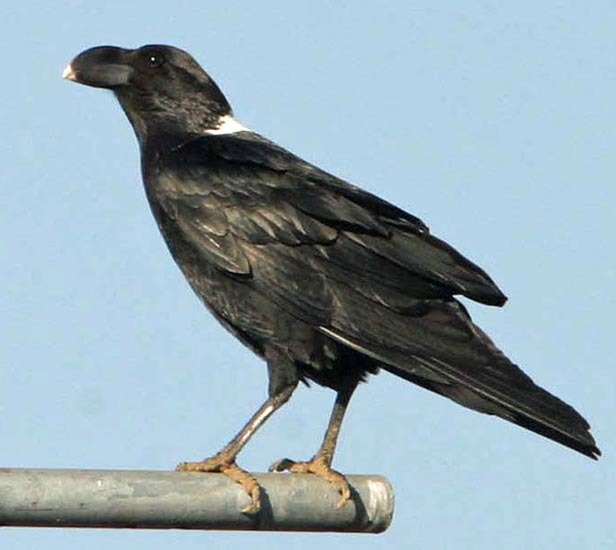 A fourth species of Australian corvid. Emu 66: 191-210. Verbeek, N. A. M. 1973. The exploitation system of the Yellow-billed Magpie. Univ. Calif. Publ. Zool. 99: 1-58. Woolfenden, G. E., and J. W. Fitzpatrick. 1984. 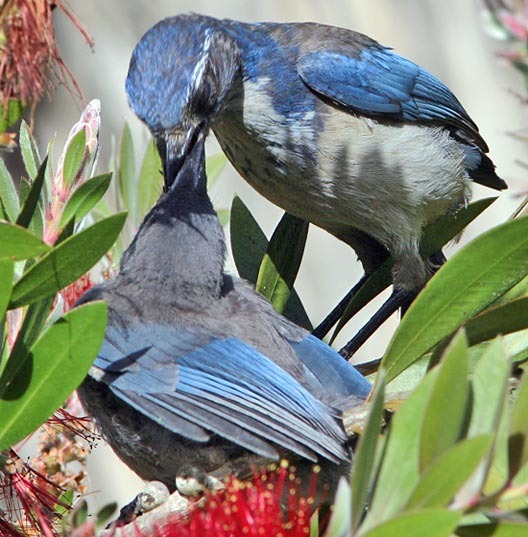 The Florida Scrub Jay: demography of a cooperative-breeding birds. Monogr. Pop. Biol. No. 20, Princeton Univ. Press, Princeton.